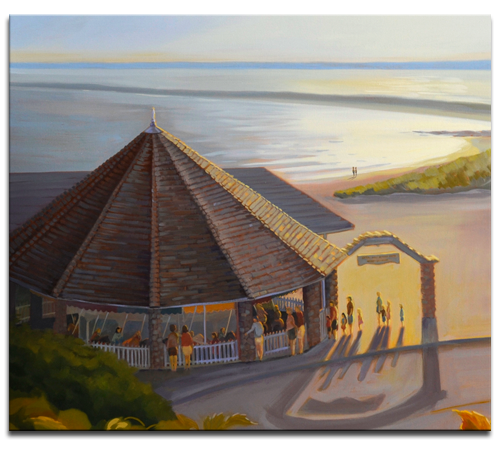 Flying Horses Carousel is featured in this large oil on canvas painting. 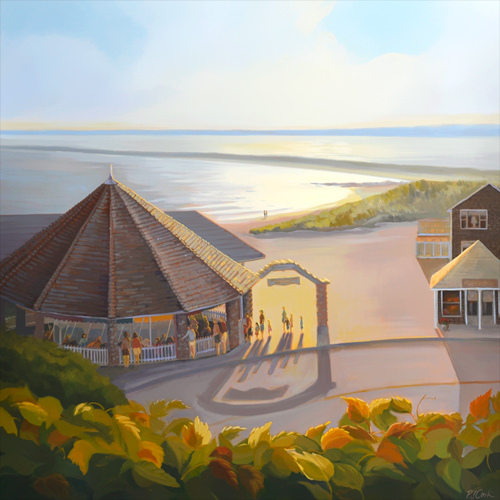 This golden sunset scene oil painting is the Watch Hill Carousel in Rhode Island. This popular carousel is located in the beach town of Watch Hill along with small shops. The carousel has been a destination for many families for years. After enjoying the Watch Hill East Beach on a summer day I came across this scene that overlooks the famous flying horses merry go round. The sun was setting in the distant Connecticut shoreline with Napa Tree Point in the foreground. 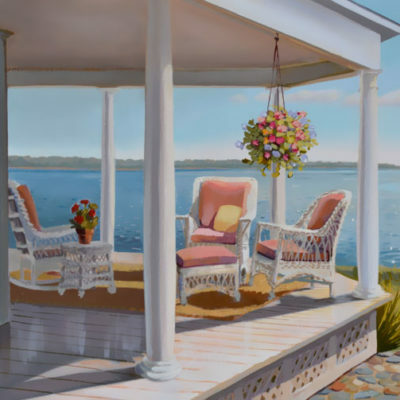 This original oil on canvas is a large painting, it is 40″ x 40″ and has a wide gold frame that enhances the colors in this landscape painting. 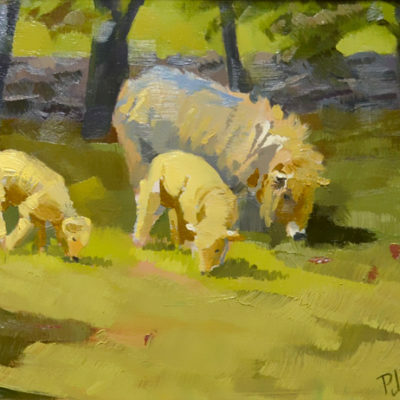 Artist Notes: This landscape painting is an original work of art by PJ Cook. Original oil on panel is 40″ x 40″ size. Professional materials used throughout. Signed by the artist PJ Cook front and back. Solid gold wood frame is included in price. 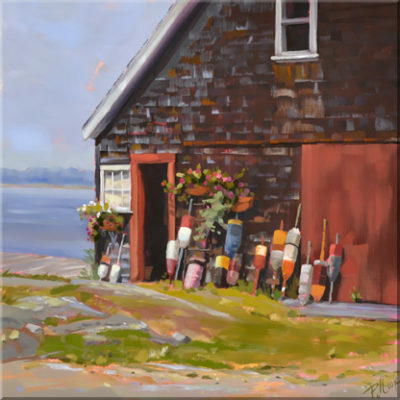 Painting can be picked up in Connecticut or is shipped to your location.